Hellooooo Friday! Last year as we celebrated our very first birthday, we invited a few folks from our audience to share their stories. It was such a hit that we’re doing it again! We’re looking for a few brave souls who want to take the stage for 5-7 minutes for our event on December 14. December’s theme will be TRADITION. Fitting for both the holiday season and our second annual Audience Takes the Stage, don’t you think? We’re looking for folks with a unique take on the word and an interesting story to tell. Interested? Submit your application via the link in our bio. 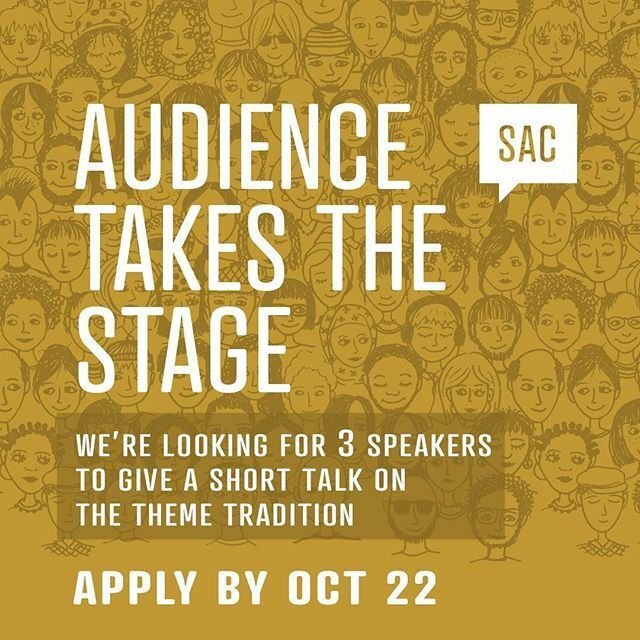 We’ll select a few chosen speakers and will help provide a bit of coaching.